Halifax-Dukes-Speedway started life at Thrum Hall(dirt track) from 1928 until 1930 but moved to its more familiar home of The Shay in 1949. It was hosted here until 1986 when they then relocated to Odsal in Bradford. Few of the visitors/supporters could forget the experience, the smell of the engines, the grit flying towards your face as you struggled to watch, the plastic shields to protect your eyes. It all made for a memorable experience and Halifax were blessed over its short period with some world class riders. 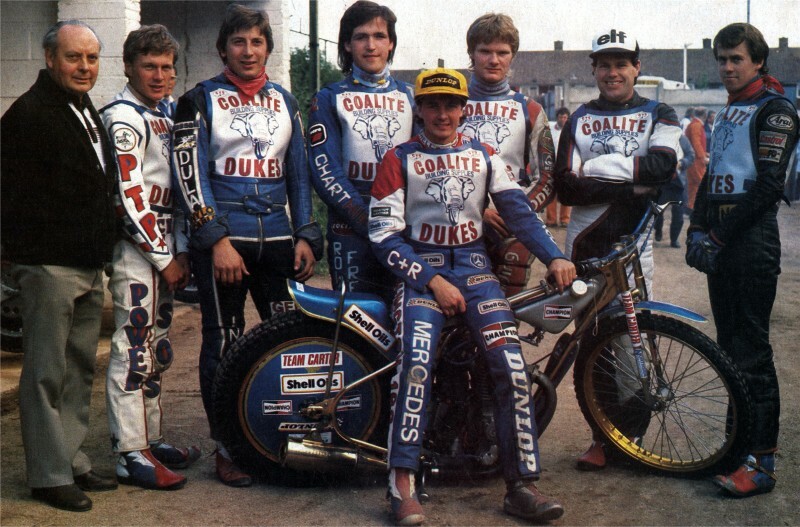 The following link leads you to an in depth history of 'The Dukes' through their glory days.